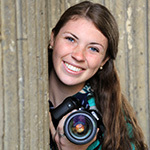 Michaela Proctor is the 19-year-old daughter of Meridian Magazine’s Scot and Maurine Proctor. She had submitted her mission papers when she wrote this article. Not many prospective missionaries get the opportunity to visit the Missionary Training Center before they are called on a mission. When a family friend invited my parents and me to visit their MTC branch I was excited to enter the MTC and see what it was like. I wondered if it was really the “spiritual prison” that so many of my friends before me had jokingly called it. I wasn’t sure exactly where to go, but a kind woman led me to the visitor’s booth where I got permission to enter. As the doors of this place that had always been a mystery to me opened, I felt as if I had entered a temple. The halls were reverent and full of the Spirit and I felt as if I should put off my shoes for I was walking on holy ground. After our testimony meeting, the branch president’s wife walked with us, and she told us that the MTC is often compared to the pre-mortal world. In this building of light, missionaries learn what their mission entails and how they will be successful in coming home with honor while helping others along the way. The mission is like our earthly life-we are tested and we have to humble ourselves to progress in the path of light. Our return home is like our return to the Celestial Kingdom where we are reunited with our families, and we can enjoy the blessings of a mission well done. On March 4th I submitted my mission papers with tears in my eyes. Now, as a sister waiting for a mission call, I imagine that I feel something like how I felt when I was waiting in the pre-mortal world to come to my family. As the youngest of eleven children, I watched each of my siblings cross through the veil and enter into the world. I must have been anxious counting up to ten and realizing that as the eleventh child with an earthly mother getting well into her forties, I was really cutting it close. Would I still be sent to a family with already so many children? The unknown must have been scary. I’m sure I walked with my parents planting visions of a curly-haired, freckle-faced little girl in their thoughts. I am on the brink of getting my mission call and the angst is gnawing at me. I’m not even in the metaphorical missionary pre-mortal world yet. In fact, according to this missionary metaphor I don’t’ even exist yet. I have watched so many high school and college friends get their calls, enter the MTC, and embark on their mission journey and now that it is my turn, I find myself not having enough fingers and toes to count how many petty fears I have. It’s already a struggle living with all girls sometimes, how will I be able to handle being with only girls for 18 months? I value my alone time so much, how will I stand having someone in such tight quarters with me constantly? It’s hard enough to teach someone the gospel in the English language, if I get called to speak a language, how will I be able to teach in Korean or Hungarian or Spanish? I’ve already had a lack of dates for my freshman year of college, how will I stand no dates for 18 months? How will I live without music? I like my family so much, how will I survive without calling my Mom everyday from college (only thirty minutes away)? The fear that seems the most prevalent as I count down the days until I receive my call is if I will be disappointed in where I am called. How can I help myself from being disappointed if the place just doesn’t feel like a fit? It’s a risk to open a mission call in front of a big group if you may ultimately be a little let down by where you are called to serve. Just a year ago I went to one of my first mission call openings. Two of my friends had gotten their calls at the same time and as best friends who considered themselves as close as brothers, they wanted to open their calls together. The small house was filled with anxious friends excited to hear the news; there was barely a postage-stamp-sized standing place for each person. They bore their testimonies to the crowd with gleaming eyes and red cheeks. They both cried when they read they were going to the Chile Concepcion Mission and the Argentina Cordoba Mission. We all cried realizing this was only the beginning of almost every one of us leaving. In the year that has passed since that night there have been many poignant goodbyes. As each mission call has been read I have found myself wondering how I would feel if I had gotten that mission call. Sometimes I am envious, thinking, “That is my ideal call,” while other times I think, “I hope I don’t get called there.” With that kind of judgment in my head, as most prospective missionaries have, I realized that now that my mission call is about a week away from arriving, I need to change my perspective. Two sister missionaries from the Utah Provo Mission spoke in my single’s ward on Sunday and they told their experiences of deciding to go on a mission. They both admitted that when they opened their calls they were less than enthused to be going to Utah on their missions but their love of the work has changed their disappointment to delight in the mission they were sent. One testified that no matter what mission you are sent to you meet people and change lives you never could have by staying home. The bishop got up after and reiterated that it’s not bad to be initially disappointed in where you get called because the Lord will soon help you know that it is where you are meant to be. I know I am nave in claiming that missions are hard because I don’t even know the beginning of the trials I will face, but a mission will give me experiences I could never have if I stayed home with my alone time and my music and the hope of dating. Sometimes the best experiences in life, that shape you to become who you want to be, are ones you have to seize, even if they seem hard. Elder Nelson took 14 years from the time he graduated from high school until he received his first paycheck as a heart surgeon. 14 years is a long time but in asking the question, “How old will you be in 14 years?” the answer is, “Just the same,” whether you become a heart surgeon or not. I could either spend the next 18 months in school, doing something of great worth, or I could go on a mission and completely change my life. These petty fears of mine, though valid, will not conquer. As a sister, it is my choice whether a mission is for me and I choose yes. I choose to sacrifice for Him who sacrificed everything for me. I choose to step forward with faith even when the future is unknown. My alone time and opportunities to date will be waiting for me when I get home. Epilogue: The day after Michaela wrote this reflection, she received her mission call to the Zambia Lusaka Mission in Africa, reporting to the South African MTC in July. She has always had a great love and affinity for Africans and formed an African club at her high school to raise money to build a school in Kenya. When she opened her call, she felt very known of the Lord. Taking the mission call out of the mailbox from the First Presidency is almost unreal for Michaela. She starts to well up with tears. Her sister Mariah has built an interactive map online with the guesses of friends and family as to where she might be called to serve. Michaela waits to open her call while brothers and sisters are FaceTimed in from various places (those who couldn’t come). She begins to read the beginning of the call: “Dear Sister Proctor…” but her eyes are too quick and she clearly slips down ahead and sees where she is going to serve! Her emotions overcome her. She cannot stop crying. She barely is able to read the rest of the paragraph. “You are hereby called to serve in the Zambia Lusaka Mission!” None of us can really hear her the first time. Her tears continue to flow. We are all so excited! Inseparable sisters who will soon be separated. Michaela calls her dear friend Shaelie Wood to tell her the news. Shaelie has already been called to the London South Mission. Her friend, Beth Barker, also in tears, was called last week to the North Carolina Raleigh Mission. Last year they were all in high school and the biggest news was who got asked to the dance. This year they are off to bear testimony to the world. Our son served in Zambia -Zimbabwe in 2002. He loved the Zambian people. We have helped with humanitarian projects in Zambia and love the people there. Good Luck! I cried when I read where she was called! How wonderful. Loved the article. By the way, my inactive daughter & husband just moved to Nebo, NC, which is near Raleigh. If she is meant to be found you will find her.